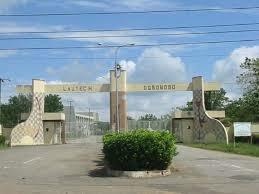 Striking Ladoke Akintola University of Technology LAUTECH Ogbomoso, has been reportedly announced to resume on January 15th. The announcement was made on Friday, after round table discussion organised by the Oyo State Governor Abiola Ajimobi, with stakeholders from the NANS. "Governor Ajimobi, promised to release 400million Naija to settle outstanding debt of the workers and immediately promised to reopen the campus afterwards", a delegate from the NANS said.